Step 1: Follow the path Shipment -> Calculator. Step 2: Input the physical weight, volumetric attributes and select the country to be shipped as shown below. 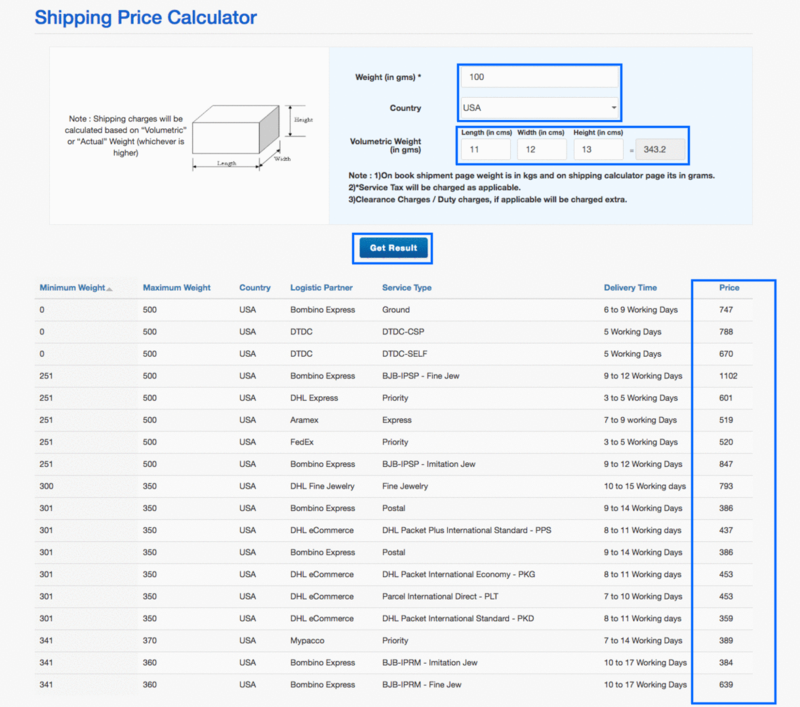 Step 3: Click on the Get Result button, which calculates the shipping price for respective logistic partners as shown below.